Objective: To assess the effectiveness of visual inspection of cervix with acetic acid (VIA test) as an accepted method for screening of cervical Cancer. Materials and Methods: Two hundred women attending the Cervical and Breast Cancer Screening Program and outpatient department (OPD) of Department of Obstetrics and Gynecology at our center were examined by both Pap smear and VIA tests. 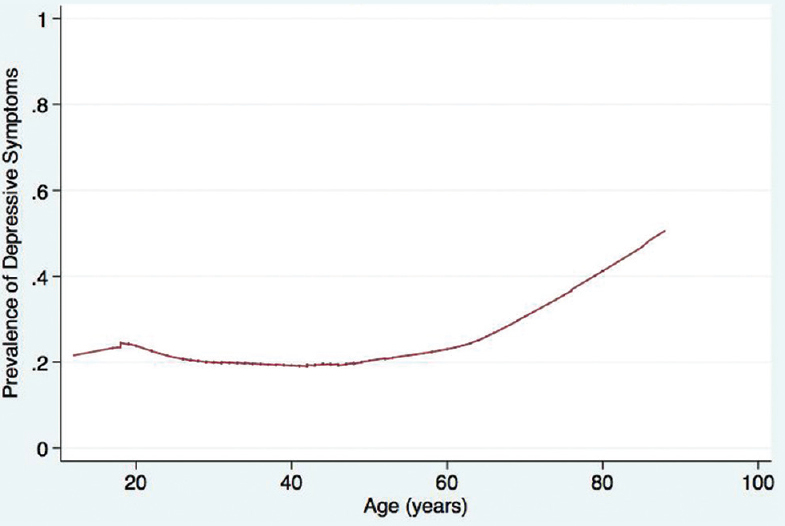 Results: Patients were aged between 21 and 70 years (mean 35.8 years). Nearly 45% got married between 16 and 20 years and 44% before 15 years of age. Oral contraceptives users were 23%. Nearly 14% of the women tested positive by VIA. Pap smear showed atypical squamous cells of undetermined significance in 9.5%, low-grade lesion in 6%, and high-grade lesions in 1.5%. Colposcopy showed cervical intraepithelial neoplasia (CIN-I) in 9%, 2% had CIN-II/III, invasive cancer in 1%, and 7% had unsatisfactory colposcopy findings. Thirty-six women required biopsy for histopathological confirmation. Among them, 7.5% had chronic cervicitis/koilocytic changes, 4.5% had CIN-I, 2% had CIN-II, 1.5% had CIN-III, 0.5% had invasive cancer, and 2% had normal result. Sensitivity of VIA was 76.5% and specificity was 91.8%. Sensitivity of Pap smear was 64.7% and specificity was 87.4%. Conclusion: Sensitivity and specificity of VIA was higher than that of Pap smear test. VIA can be used as an effective screening test to detect the precancerous and cancerous lesions of the cervix in Bangladesh. Background: Poor patient knowledge of recommended diabetic self-care practices is a major barrier toward attainment of good glycemic control and prevention of diabetic complications. Materials and Methods: We assessed the knowledge of diabetes self-care practices through a short 7-item pretested questionnaire among diabetes mellitus patients attending special clinics in three government hospitals. Results: The average diabetes knowledge score attained by the patients was 3.79 ± 1.77 (maximum score = 7). Lifetime treatment requirement for diabetes mellitus, plasma glucose levels for good glycemic control, and symptoms of hypoglycemia were correctly reported by 89%, 74%, and 38.5% of the patients, respectively. Low educational status and female gender were significantly associated with poor knowledge of diabetes (P < 0.05). Low level of knowledge of diabetes was a predictor of poor glycemic control but not medication adherence. Conclusion: Knowledge of diabetes in patients attending government hospitals in India is low. Future studies should explore low-cost health education interventions feasible in the Indian health-care context for improving patient knowledge of diabetes. Background: The epidemic of non-communicable diseases (NCDs) such as type II diabetes and high blood pressure has crept upon an unsuspecting public health community in Africa. The four major problem areas contributing to this epidemic are: (1) lack of enough resources for health care, (2) few medical facilities and personnel to care for a large number of the population, (3) the inability of public health professionals to address or unravel complex causal nets of risk factors that reflect the culture and history of countries, communities, families, and individuals, and (4) medical care curriculum in the region is not tuned to the reality of the people it serves. There is the need to develop educational partnership teams between health experts and local citizens. Methods: This team-based community participatory approach effort will involve tapping into the local reservoir of knowledge by experts and Western medical knowledge by citizens; the resultant effect will aid policymaking and program development while also synthesizing the two. 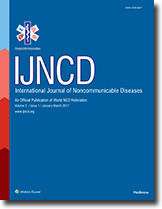 Results: Findings from several studies have shown that the solution to Africa's health-care struggle depends on synchronizing policy, practice, and partnership efforts through proper culturally tailored public health approaches, as well as the development of policies that ensures improving the general public's knowledge about NCDs and its prevention. Discussion and Conclusion: We suggested innovative ideas on areas of concern that will provide a unique opportunity for health educators to advocate for and improve the health literacy of laypersons. We call for the development of more regional research and disease control centers because research and evaluation efforts can guide education and service delivery methods. In addition, we call for appropriate training that provides opportunities for African health professionals to acquire knowledge on cutting-edge knowledge about prevention and treatment. We concluded that an accepted medical practice for Africans is one anchored on efforts whereby people feel like partners when it comes to the issue of their health. Simply put, “people's voices, people's input, and people faces. It is challenging to hold people accountable when they do not understand health care and have little information on how to prevent the onset or spread of diseases. Context: Nepal is currently experiencing a rapid growth in noncommunicable diseases (NCDs). Depression has previously been associated with NCDs in South Asia; however, data regarding its prevalence and risk factors are lacking in Nepal. Aims: This study aims to describe the prevalence of and risk factors for depressive symptoms in a suburban population of adults within Nepal. Setting and Design: We conducted a cross-sectional analysis of baseline data collected from participants enrolled in the Dhulikhel Heart Study, a population-based, longitudinal cohort study investigating cardiovascular risk factors in Dhulikhel, a suburban town outside Kathmandu. Subjects and Methods: Baseline questionnaire data from 1073 adults age 18 years and older included the Center for Epidemiologic Studies Depression Scale (CES-D). A score of 16 or greater on the CES-D has been shown to indicate major depressive symptomatology. Statistical Analysis: Using STATA 13, we conducted Pearson's Chi-square tests and multiple logistic regressions to examine associations between the binary CES-D score and gender, age, education, marital status, body mass index, physical activity, and hypertensive status. Results: The mean CES-D score in the sample was 11.7 (standard deviation: 5.3), with 21.3% scoring 16 or greater. Age over 60 and lack of formal education were associated with increased risk of depressive symptoms. Being physically active was associated with decreased risk of depressive symptoms. Conclusions: The estimated prevalence of depression among adults in Dhulikhel was 21.3%. Significant risk factors for increased depressive symptoms included lack of formal education, age over 60, and physical inactivity.